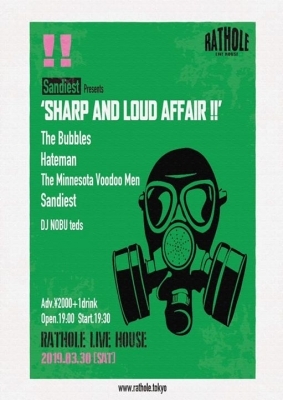 3月30日(SAT) Sandiest Presents "SHARP AND LOUD AFFAIR !!" at 調布柴崎RATHOLE ! !